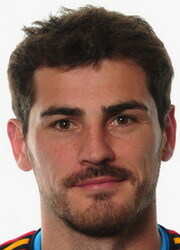 Veteran goalkeeper Iker Casillas says that the desire shown by FC Porto was key to him agreeing to end his illustrious career with Real Madrid. AC Milan have agreed to pay a 35million euros release clause to sign striker Jackson Martinez, according to FC Porto club president Pinto da Costa. Eliaquim Mangala has admitted that he has endured a difficult first season at Manchester City following his £32million transfer from Porto. Bayern Munich coach Pep Guardiola says he is not worried about who his side face in the last four of the Champions League, following their stunning win over FC Porto.